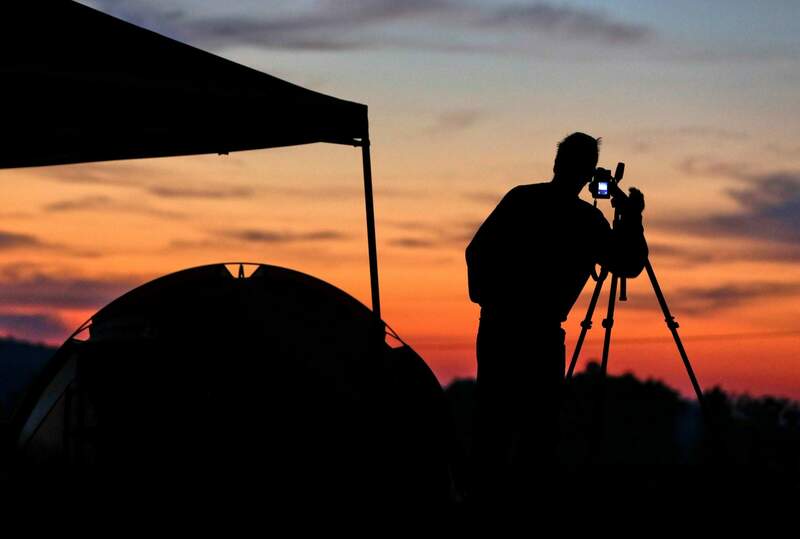 Jim Cleveland sets up a camera at his campsite at sunrise as he prepares for the solar eclipse Aug. 21, 2017, near Hopkinsville, Ky. Travelers looking to save money can find free campsites on websites such as Campendium.com or FreeCampsites.net. Search for free campsitesDon’t unplug just yet – before you leave, put your phone to good use by finding a campsite on sites such as Campendium.com or FreeCampsites.net. Campendium provides information on more than 27,000 campsites (free and paid), including national and state parks and RV parks. Listings include user reviews, fees, photos, cell coverage and other details. Some sites have no nightly rate but may require a paid pass to gain access. Check the weatherLook up the forecast for your destination, including nightly lows, says Addis, who’s camped on every continent except Antarctica and has learned the value of an insulated sleeping bag. Investing in good gear from the outset – even if it’s expensive – could save you money in the long run, rather than buying something that’s not quite right and having to replace it later. Travel with lessTravel light, says Tom Lionvale, a backpacking instructor and adjunct faculty member at College of the Sequoias in California. You don’t want too much to carry; 20 pounds not including food and water is a good guideline for backpacking, he says. Even if you’re not backpacking, camping with less means purchasing less gear. Find a place to restWhether you’re camping by car or RV, plan the route you’ll take and the stops you’ll make to and from your destination. Make your own rulesThere are many ways to camp, so plan a trip that fits your budget. Skip the things you don’t need – like the latest camera if your smartphone will do.